Police tape blocked access from a street leading to the building complex where The Capital Gazette is located in Annapolis, Md. 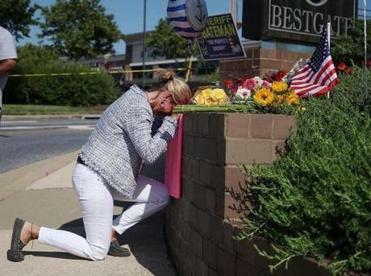 A reporter at the Springfield newspaper The Republican abruptly resigned Friday after putting out a sarcastic tweet suggesting the alleged gunman who fatally shot five people inside the office of an Annapolis, Maryland, newspaper left a Donald Trump hat at the crime scene. The reporter, Conor Berry, apologized for the since-deleted tweet in a follow-up message posted to his Twitter feed on Friday. Berry’s apology came after his earlier controversial tweet, in which he posted an image of the president’s “Make America Great Again” hat and implied that Jarrod Ramos dropped one on The Capital Gazette’s newsroom floor before gunning down five people Thursday. The tweet has been removed. In a follow-up phone interview, Berry, 49, said he was being facetious in the offending tweet. 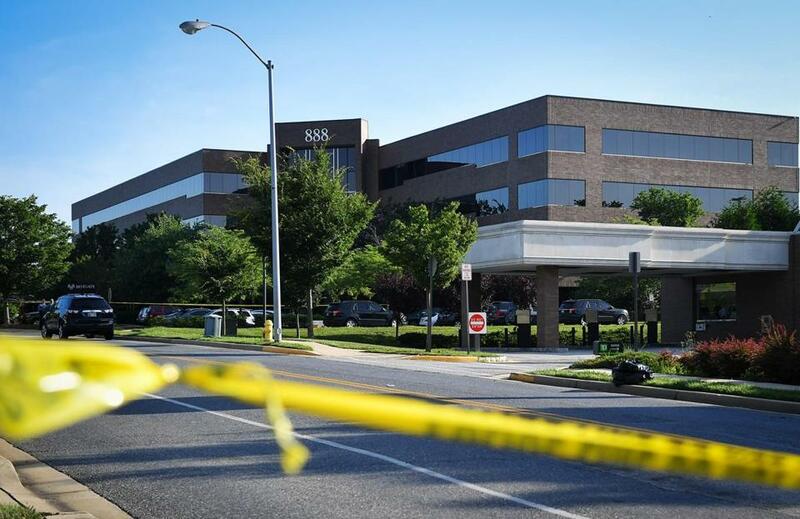 The attack at the Maryland newspaper, which killed five people and left two others injured, appears to be the deadliest involving journalists in the United States in decades. “It was a snarky, sarcastic, cynical remark, and there’s nothing I can do to take it back,” he said, adding that his reporting has “pissed off” both liberals and conservatives over the years. He said he’s received hateful messages from people across the country since Thursday night, including one stranger who called and derided him as an “[expletive] liberal,” using an antigay slur. On his LinkedIn page Friday, Berry identified himself as a reporter and online producer at The Republican and MassLive.com. He’s held prior reporting positions at the Berkshire Eagle, Cape Cod Times, St. Albans Daily Messenger in Vermont, and Easthampton Star in New York, according to his LinkedIn profile. Trump, who regularly lambastes reporters for publishing what he deems “fake news” and has called the press “the enemy of the American people,” on Friday struck a very different tone when discussing the mass shooting at the Gazette newsroom. Material from the Associated Press and New York Times was used in this report. Travis Andersen can be reached at travis.andersen@globe.com. Follow him on Twitter @TAGlobe.